Many of us are familiar with the most well-known ride-sharing service: Uber. It has become an industry leader in disrupting the traditional taxi model and landscape. But along with its accolades and successes come a huge downfall, most significantly toward women. Over the past few years there have been a number of disturbing accounts from around the world, where women are being attacked, raped and harassed in the back of an Uber as well as other ride-sharing companies. In countries like India and Pakistan where women’s public safety is already a huge concern, this problem has become the catalyst for female entrepreneurs to start their own ride-sharing and taxi companies, designed to cater to and protect women. In the US, it is not just public safety that is an issue, but the knowledge of the tech and start-up world being a breeding ground for sexism and harassment in different ways. In a recent blog post on her personal site which went viral, former Uber engineer Susan Fowler shared a detailed account of ongoing discrimination she faced at her job, done mainly to protect the reputation of higher-up male supervisors. The culture of wanting to protect the dominant male status at all costs, despite Susan being an invaluable team member (who eventually landed a job at a different company) shows how fraught and complex the ride-sharing space can be if you are a woman. There is no “one size fits all” solution to these problems. The underlying issue is how we view women in society. Are they equal or not? Each country has its own cultural barriers to overcome, including here in the US. Similar to what we are seeing with multiple companies in India, we are seeing a rise in female-driven and female-owned ride-sharing companies, created out of a frustration toward endless harassment faced by women. Although there is no comprehensive data surrounding the number of passengers being attacked ride-sharing services as outlined in an investigation by The Atlantic, the high profile cases that have caught the attention of many people cannot be ignore. In fact it was a troublesome Uber ride which led Boston man Michael Pelletz to launch SafeHer with his wife Kelly, in order to address the safety concerns he identified as a former Uber driver. He was transporting a male passenger on one of his work days, when the man starting acting incoherently, and Michael feared for his safety. He tried to flag down a police officer, and it in that moment it struck him how different the experience would’ve been had it been his wife or daughters with such a passenger (or driver!). SafeHer is not the only company that was created to protect women’s safety. Father and Daughter team William and Savannah Jordan from Orange County, created See Jane Go, which was an idea that came to fruition out of a “protective father moment”, as stated on their website. Savannah had talked about the idea of driving for a ride-share company, but safety concerns clouded her father’s approval of this. After making a passing comment that there should be a a women driving women ride hail option, that’s when the wheels started turning (pun intended!). Today the company employs only female drivers and will only pick up female passengers. It was formally launched in July of 2016 and services the Southern California area. Like SafeHer and other global companies of a similar nature, not only does See Jane Go want to be part of the solution to harassment toward women, they are also giving women the opportunity to earn an income and see this as an economic opportunity. Although Uber and Lyft maybe the ride-share leaders at this time, only a quarter of their drivers are women. 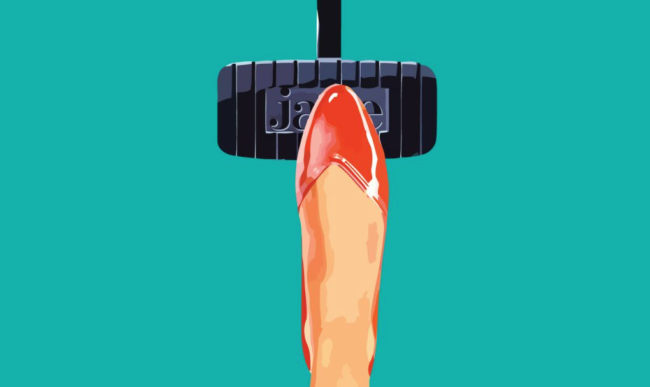 Could public safety be the common thread between female passengers and drivers shying away from these more well-known brands? IN another interview with Forbes, Kimberly mentioned some of the safety statistics. Although the majority of rides do happen without incident, among those that do, 97% were perpetrated by men. That seems to be enough to give women pause when considering these services. “There is a clear sense of trepidation amongst women, causing them to be slow adopters of the driver opportunity,” she said. Not only are they in the business of “transformation”, as opposed to just transportation like other services, Kimberly says 2% of the company’s revenue will go towards charities that support female empowerment. In January 2017 they announced a partnership with Laura’s House, the only state-approved comprehensive domestic violence agency in South Orange County, according to a press release. “We surveyed our entire female driver base to see which causes resonated with them and Laura’s House emerged as the clear choice for a non-profit alliance. One of the biggest safety issues that women can face is from their spouse or lover through domestic violence. At See Jane Go we are working to help women access the things they need for freedom, safety and empowerment, partnering with Laura’s house for our charitable giving is a powerful way to stay true to that promise,” said the co-founder William Jordan. They will offer free rides to women who are part of Laura’s House, and use their revenue as a means to absorb the costs. It is partnerships like this that fundamentally address the issue of women’s safety in public, acknowledging that an unsafe cab ride is often the tip of the iceberg of other deeper, societal issues relating to gender violence. With SafeHer on the East Coast, and See Jane Go on the West Coast with plans to expand, what we hope to see is major growth in the market, where emerging companies like these put the dominant companies like Uber and Lyft on notice that if they aren’t willing to address the fundamental problems within their own ranks, women will go elsewhere with their consumer dollars. If you want to find out more about See Jane Go or become a driver, visit the website and download the app.